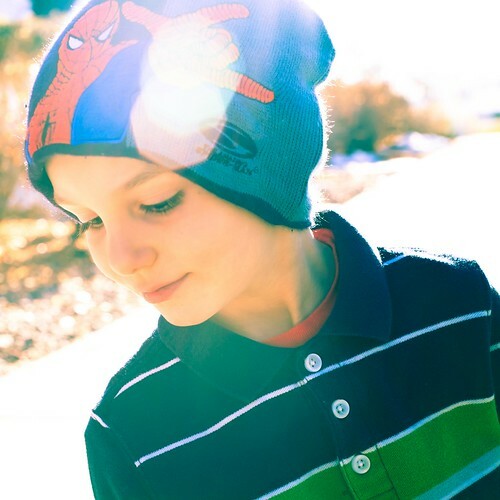 Sunny Guy – 365, 314, originally uploaded by Fluttering By. That smile brightens my days and lifts my spirits into the clouds. I think I now know the meaning of "You are my sunshine". Diligent Bathtub Cleaners – 365, 313, originally uploaded by Fluttering By. Today we cleaned the bathrooms (yes, a day behind for all you diehards). While the kids always help, today Marcus decided to add himself to the mix. Little did I know that Molly + a pail of water in the bathtub + Marcus would equal something totally different than just adding the first two together. It’s simple math, really, I don’t know how I ever missed it. I am happy to announce that I not only have a clean bathtub as usual, but also clean walls, floors and children. Talk about synergy! Good Golly, Miss Molly. – 365, 312, originally uploaded by Fluttering By. 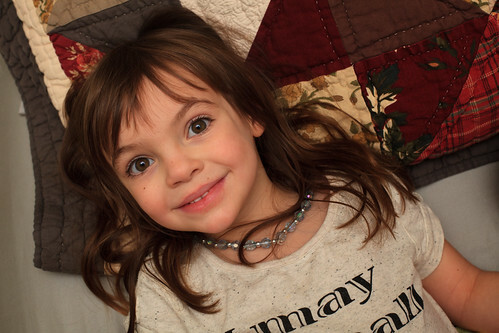 I saw the opportunity to snap some shots of Molly today as we were playing in my room, and I snapped away while I conversed with her as I normally do. I thought I got a couple good ones, so I walked over to my computer and plugged in my camera to download them. The Nutcracker Beach Party – 365, 311, originally uploaded by Fluttering By. 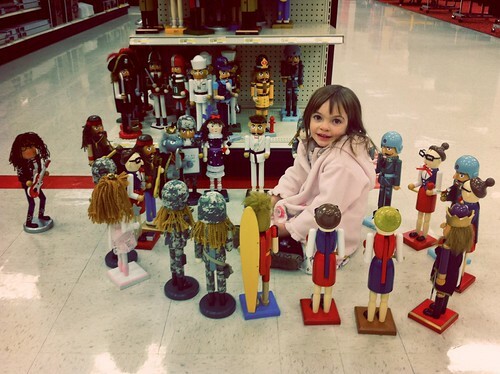 While we were in Target today buying some sheets, Molly discovered the nutcrackers. I turned away for a moment to decide on what color would match our quilt best (don’t worry, Thom was there watching the kids) and turned back to see that she had half of their supply on the floor. She had paired them with "dates" and even had three musicians serenading everyone in attendance. When I asked her what it was, she replied ever so matter-o-factly, "A beach party." iPadding it up. – 365, 310, originally uploaded by Fluttering By. Daylight savings is fun. The kids wake up at the crack of dawn and then don’t want to go to bed "an hour early". 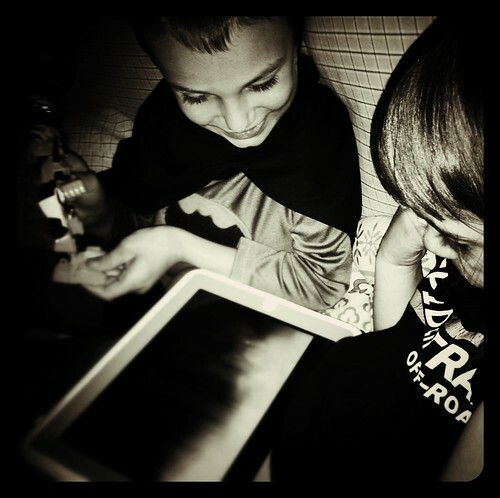 In enters the iPad. Aahhh. All is right in the world again. Enjoy your early, err, late evening! 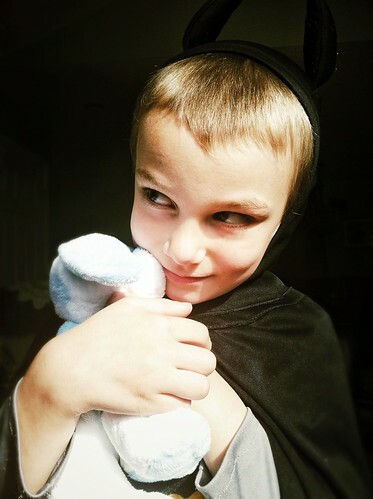 Batman showing off his sensitive side. – 365, 309, originally uploaded by Fluttering By. Molly’s had a pink puppy since she was a baby that Thomas has recently set his eye upon because, “it’s so soft!” so on Wednesday he got out his piggy bank and we went on amazon to search for one of his own. He was over the moon when we found the blue brother to Molly’s pink puppy and (no so) patiently awaited his arrival. Good thing we have amazon prime. Awww, yeah! – 365, 308, originally uploaded by Fluttering By. 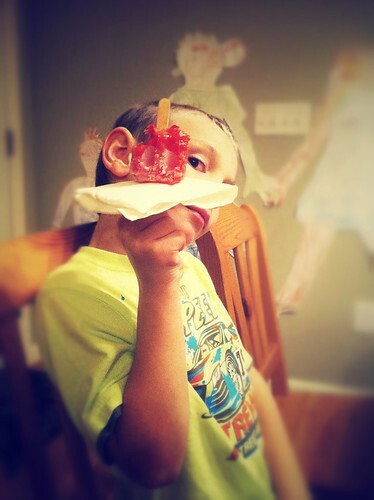 I guess this is Thomas’ "check it out, I’ve got an ice pop!" face. Feel free to add your own caption. It’s quite fun. Wait… what? – 365, 307, originally uploaded by Fluttering By. Wasn’t it 60 something outside when we went trick-or-treating a couple days ago?? 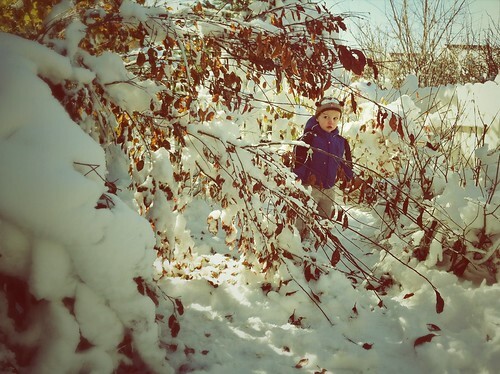 Isn’t it "autumn the leaves fall down, winter snowflakes abound."? What happened to global warming?? Tiny Chef – 365, 306, originally uploaded by Fluttering By. The kids helped me with dinner tonight. 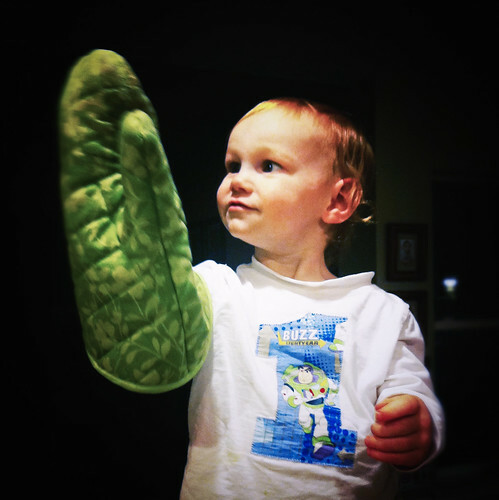 Marcus was especially in awe of the oven mitt. I call him my "tiny chef". Yup, Halloween was yesterday… – 365, 305, originally uploaded by Fluttering By. …and yes, I took this photo this evening. 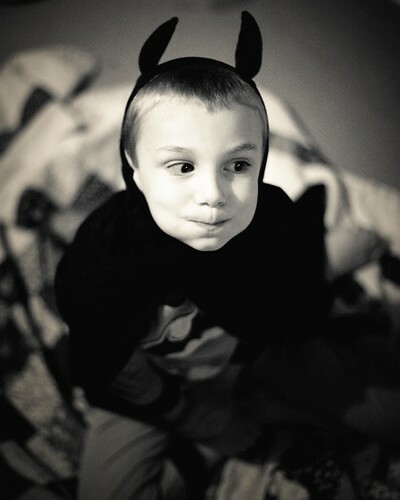 Thomas wore his costume again today (and then changed into his batman PJ’s and kept his cape on to watch Cars 2).